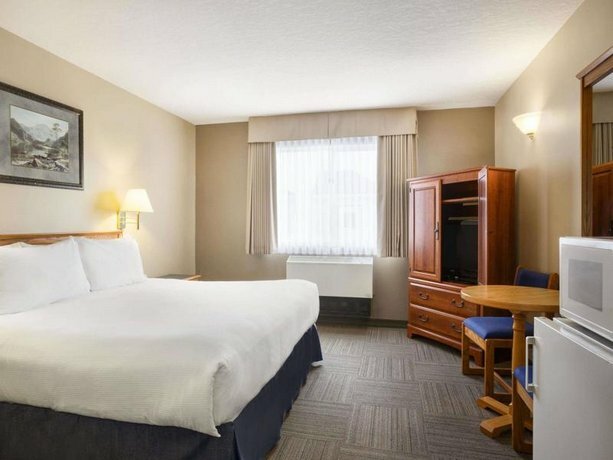 Located about a 2-minute drive from the nearest Yellowhead Highway on-ramp and a 9-minute drive from Hinton's city centre, Days Inn Hinton is geared towards road travellers who require a hotel with a free breakfast, extended kitchen amenities and easy highway access. 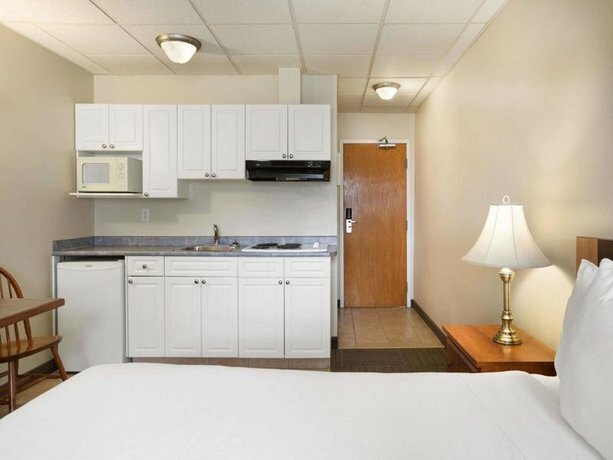 Each of the hotel's air-conditioned guest rooms comes equipped with free Wi-Fi, cable TV, a coffeemaker, a mini-fridge, a microwave and a hair dryer. 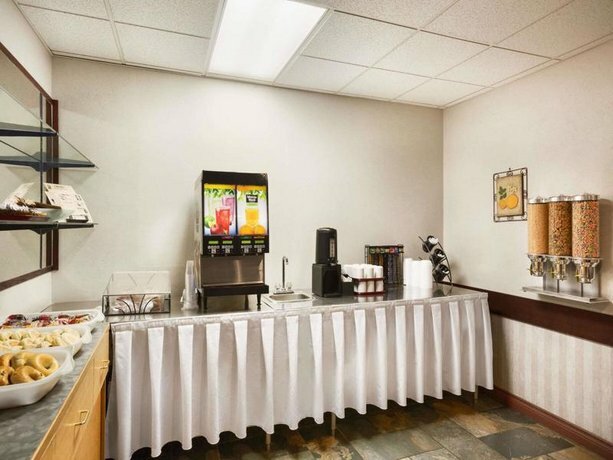 Irons and ironing boards are available at the front desk. 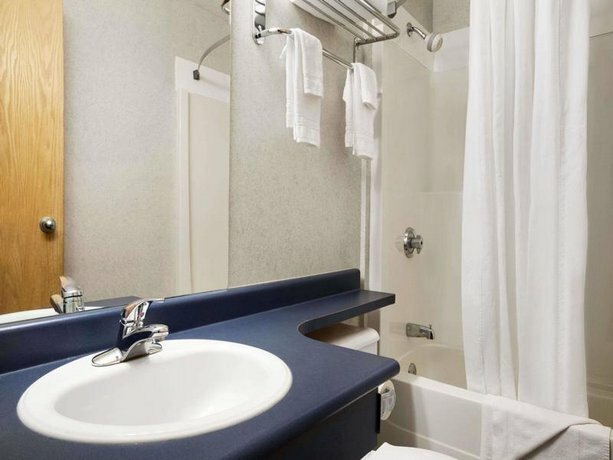 Rooms with a kitchenette, a sitting area and sofabed and a jetted tub are also available, as are smoking, non-smoking and wheelchair-accessible rooms. 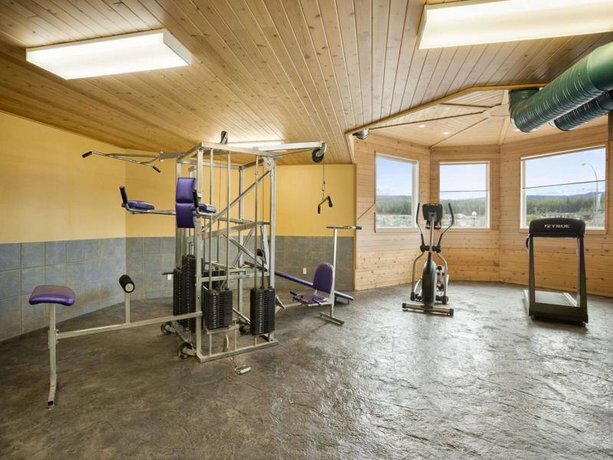 On-site amenities include a fitness room, a 24-hour guest computer, guest laundry, free parking and a free continental breakfast, which is served daily from 6 am to 10 am. Pets are permitted for $15 per pet, per day. Reception is available 24 hours. The majority of the reviews sourced for this analysis were positive, with compliments going to the hotel's location, staff, rates and rooms. Numerous lodgers found the hotel's location to be convenient. 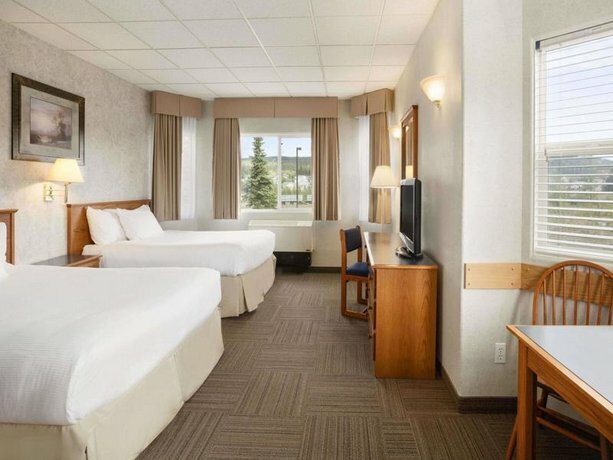 They described it as easy to find and close to highway access, restaurants, a supermarket, a gas station, Walmart, Miette Hot Springs and Lake Maligne. Many guests were pleased with the level of customer service they received during their stay. 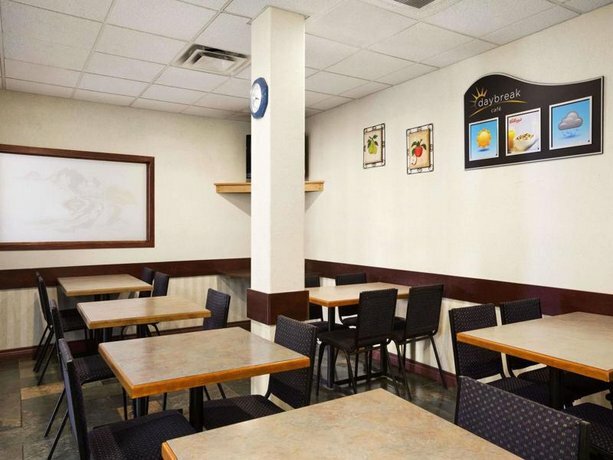 They characterized the staff as helpful, friendly, accommodating and efficient. 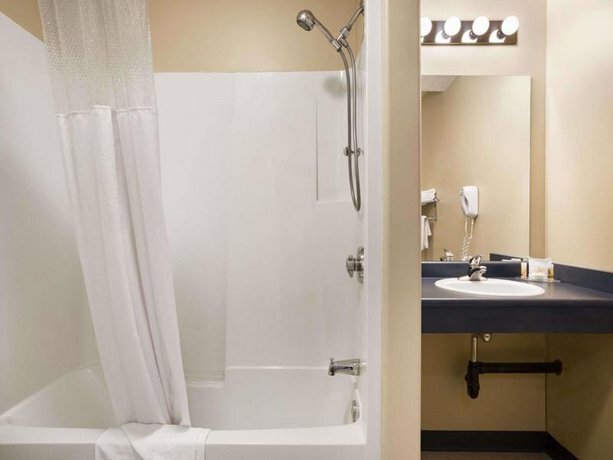 The hotel's rates were praised by several reviewers. They were described as competitive, excellent, budget friendly and affordable. 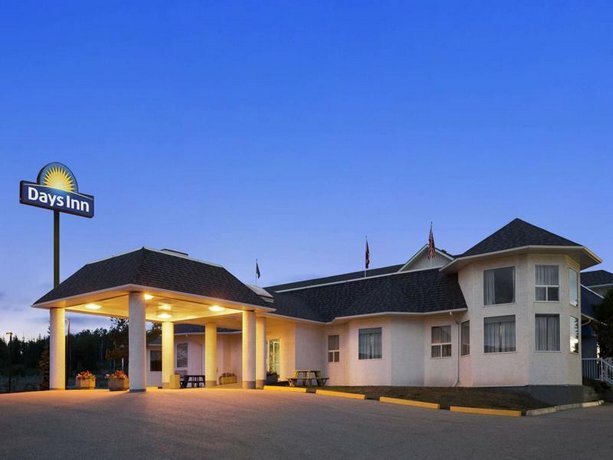 Several travellers were satisfied with their accommodations at the hotel. 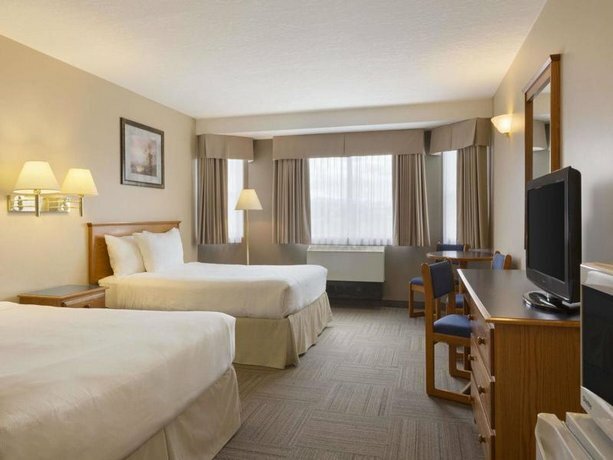 They found their rooms to be clean, spacious, quiet and well equipped, with comfortable beds. A few guests had complaints about their lodgings, however (see below). 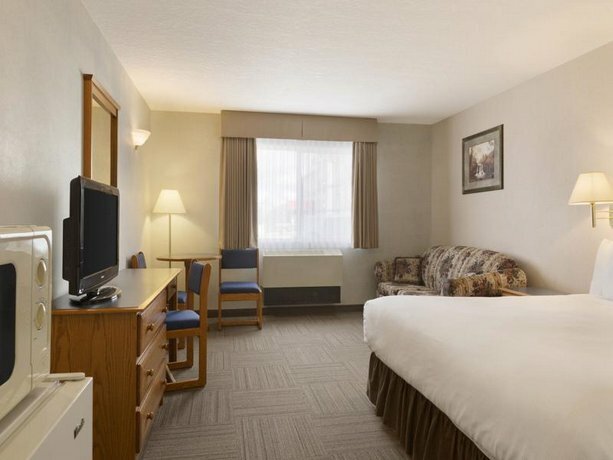 Although several guests were satisfied with their spacious and well-equipped rooms, a few guests criticized their accommodations. They reported dated decor, worn fixtures, difficulty controlling the room temperature (too hot or too cold) and a few cleaning issues. Noise transfer from guests in the hallway and trucks idling in the parking lot was also reported. 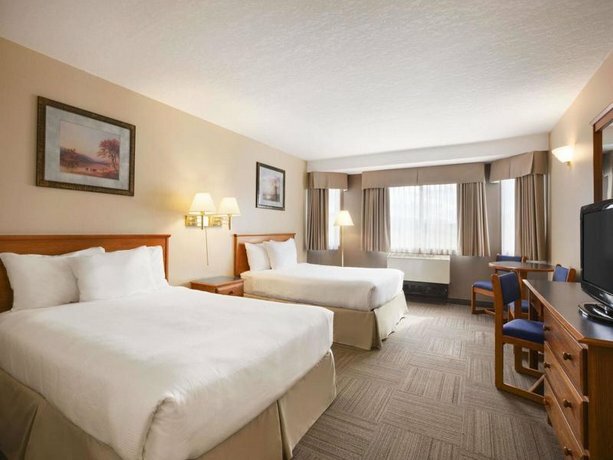 Expedia.ca guest reviews rated the hotel 3.3 out of 5 with a 73% recommendation rate from 118 reviews. 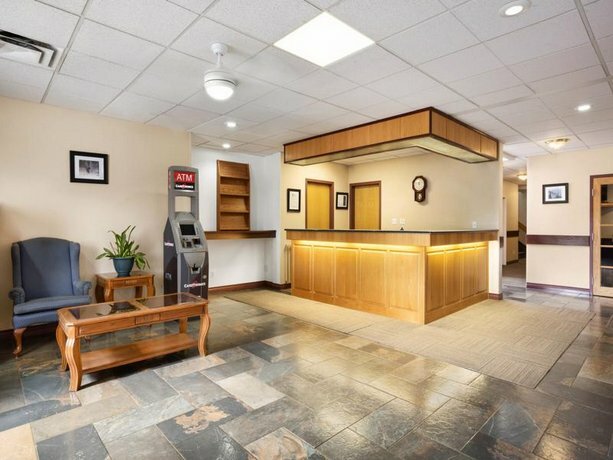 TripAdvisor.com guest reviews ranked the hotel #13 of 17 Hinton hotels with an average rating of 3 out of 5 from 107 reviews. 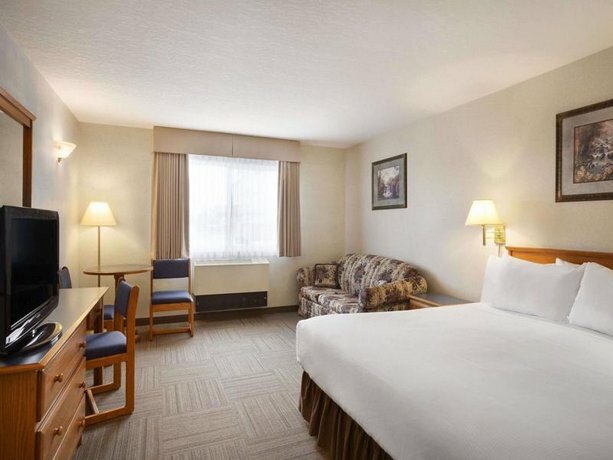 Booking.com guest reviews rated the hotel 8 out of 10 from 74 reviews. The author corresponded with the hotel on May 22, 2014 to verify some information. 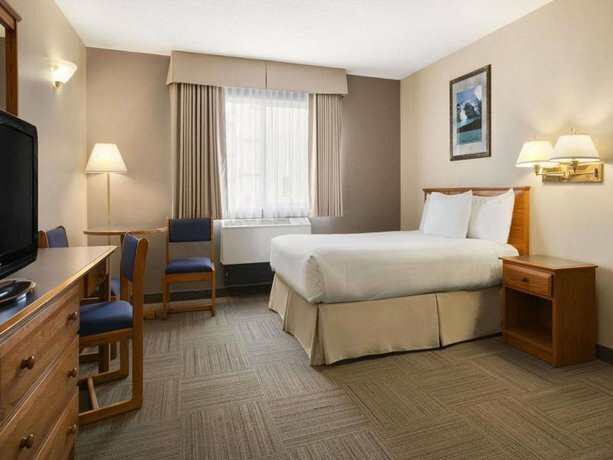 The average guest rating for Days Inn by Wyndham Hinton is 6.5 out of 10 based on 1035 reviews from past guests. 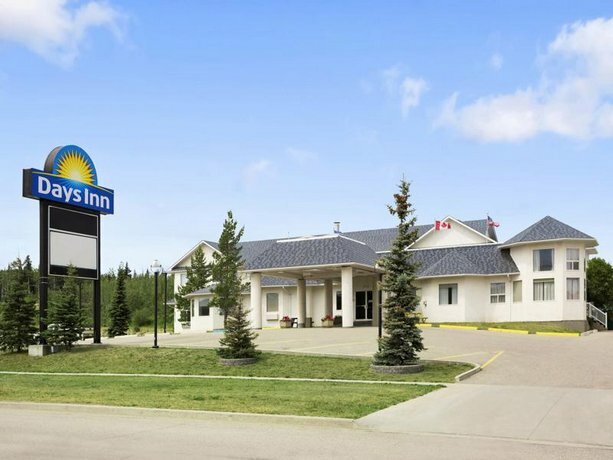 This average guest rating ranks Days Inn by Wyndham Hinton at #8 out of 11 hotels in Hinton.